The Premier League recently secured a hugely significant court order which is aimed at stopping rights-infringing video streams of its matches. This new ruling gives the league the ability to block servers which are broadcasting the games - stopping users of Kodi and other streaming devices from tuning in for free. Until now, rights holders could only close individual streams which could easily be restarted via a new server. The Premier League says they are implementing the order because of concerns that fans are sidestepping premium pay services, such as Sky and BT Sport, who each pay huge sums for the rights to broadcast the matches. Now it seems, with the help of the UK's Internet Service Providers, the crackdown is being put into full swing. “Like other sports and creative industries our model is predicated on the ability to market and sell rights and protect our intellectual property. The crackdown has already seen a number of arrests made in recent months and recently a man accused of selling "fully loaded" boxes was fined a massive £250,000. Malcolm Mayes, from Hartlepool, sold IPTV boxes, sometimes referred to as ‘Kodi’ boxes or ‘Android’ boxes, which had been modified to allow the users to freely view content that should otherwise be paid for. Mr Mayes targeted pubs and clubs when selling the devices, falsely claiming in national magazine adverts that they were ‘100% legal’. The law surrounding Kodi-style streaming boxes still appears to confuse many consumers. In a recent interview with Express.co.uk, Howard Turton, of the National Trading Standards North East Regional Investigations Team revealed those who stream copyright-protected content – like Premier League matches – on so-called Kodi boxes are breaking the law. "The law as we see it, as we are advised by our legal people, is that if you are a public house, or club, or a business of that nature, who is illegally accessing this particular content – if you're streaming it, you are committing an offence." Mr Turton said. "If you are Joe public, who has bought one of these boxes, technically you might be committing an offence – but it's very difficult for enforcement bodies to tackle a person in their own home doing this type of thing." The makers behind the Kodi system say they are doing nothing wrong and are simply offering a platform that is a free, open-source piece of software that has nothing to do with the streaming channels that pass through it. Many, such as Netflix and Amazon are completely legal and justified. “If we were to shut down third-party add-ons entirely in the next version of Kodi, our open source licence means that anyone could fork our software and easily re-enable those add-ons immediately,” Nate Belzen from Kodi. Premier League bosses are getting tough over the use of Kodi boxes to stream games illegally. They have increased their efforts to crack down on illegal feeds of matches that are being streamed by users of Kodi boxes. The Premier League now has a High Court order that allows it to shut down illegal video streams of football matches through the Kodi app, which can be used on the likes of Android media players and Amazon Fire sticks. A Sky TV subscription with sports channels costs between £36 and £71 per month. By contrast, Kodi boxes with the required illegal streams pre-loaded are being sold online for as little as £30. Now the court order shut down this avenue by by blocking access to the computer servers on which they are hosted. This means the open-source software Kodi which has given thousands of Brits access to Premier League games for free, could soon be surplus to requirements. This could be a worry for the likes of BT Sport and Sky who pay so much money for the rights to show games and are concerned about losing potential customers. What's more, as bidding rights for next year's games move closer, the Premier League is partnering up with internet service providers (ISPs) to try and stop the spread of so-called "Kodi boxes" around the country. "The Premier League is currently engaged in its largest ever anti-piracy campaign to protect its copyright," a Premier League spokesman told the Guardian. The Mirror reports that this campaign includes raids across the north-west in which five people were arrested for selling the boxes. And this month, Judge Richard Arnold granted a high court order for ISPs to block access to online servers. The four biggest providers in the UK: Sky, BT, TalkTalk and Virgin Media will now be able to block entire servers that host illegal streams. Kodi itself is a legal app, and the people behind it insist that its open-source software has nothing to do or no control over the streaming channels that pass through it. Many are completely legal and justified. 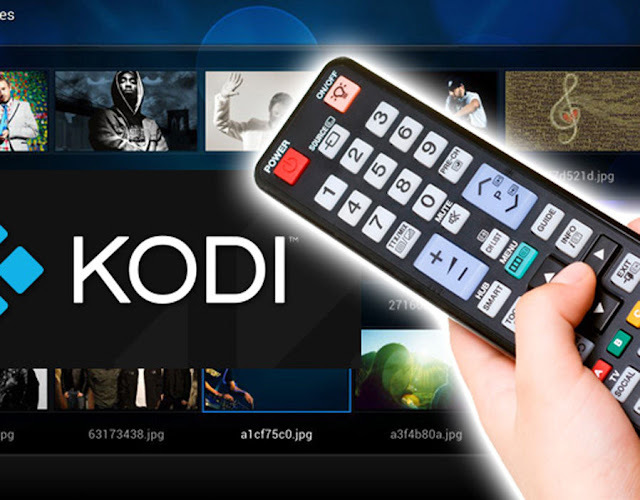 "If we were to shut down third-party add-ons entirely in the next version of Kodi, our open source licence means that anyone could fork our software and easily re-enable those add-ons immediately," the company's Nate Belzen told the Guardian. For that reason, the Premier League isn't targeting individuals using Kodi to access the streams. 'Kodi boxes' along with Amazon Fire TV sticks are now one of the most popular ways to watch pirated video content in the UK. 0 Response to "Kodi faces 'largest ever' crackdown - thousands to be blocked from the popular service"